Again this year the FameLab Internaional finals were hosted by the Cheltenham Science Festival. Scientificast had two frontline witnesses, Giuliano and Ilaria, that are going to tell us about their experience and interview some protagonists of the event. Dasa Sephton coordinates and organizes FameLab in Czech Republic and works for the Brish Council. She tells us how she saw the event growing and what is different in Czech Republic. Belen Fortea works for the Brish Council in Spain and tells us about the incredible success of FameLab Spain: Eduardo’s video (http://www.youtube.com/watch?v=gHJNMiSFuAM) had more than 60000 hits on youtube, 10000 only the day after his winner! Simone Kodermaz is the winner of the local selection in Trieste (Italy) (http://www.youtube.com/watch?v=ALUs95mQXQU). At the Italian final in Perugia he he won the prize offered by INAF and INFN for the best talk in Phisic field and had the possibility to come to Cheltenham, join FameLab international masterclass, attend the semifinals and the finals and have free access to the Festival. Michael Londensborough is a British scientist that moved to Czech Republic because of his passion for Boron and is also a Czech tv personality (http://www.youtube.com/watch?v=3tWGi-I050A). We ask him about his experience as a judge in the semifinals of FameLab international. Dara O’ Briain is a big name in UK’s TV. His science shows are viewed by millions of people every week. We asked him how he creates that combination of science and fun and make it so enjoyable. 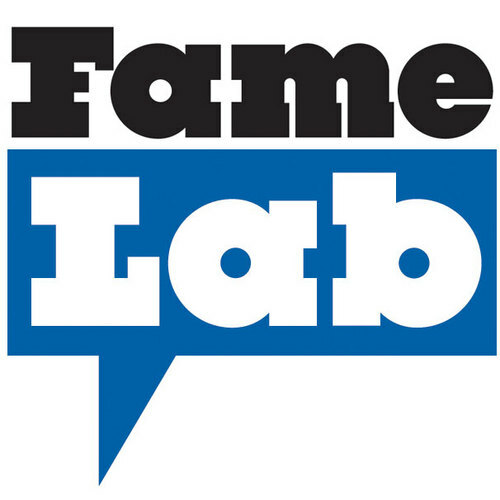 Massimiliano Trevisan works at Psiquadro that organized and coordinated FameLab Italy. He tells us about his impressions on the festival, on the semifinals and give us his forecast for the final.